There is a special ring to any event that has the word ‘first’ added to it. 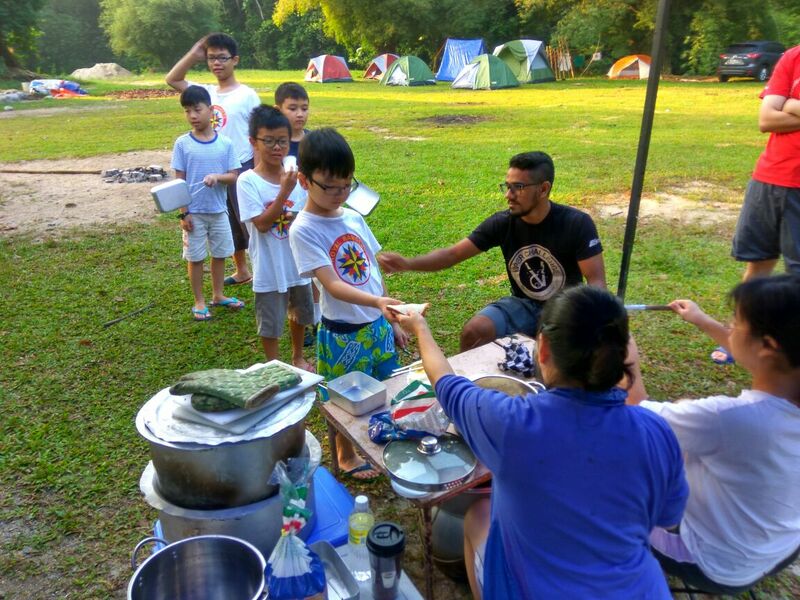 Such was the case for the KL#1 Father & Ranger Derby… It was the first of its kind for the KL#1 outpost, for Calvary Church and for Royal Rangers in Malaysia! 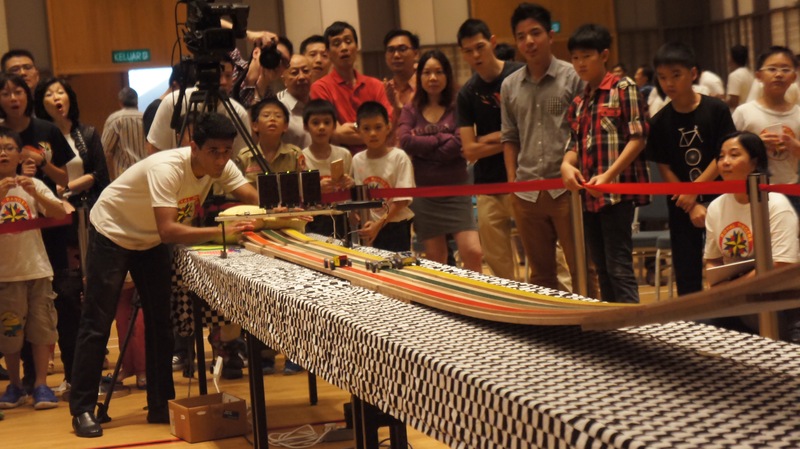 Ranger Derby is a project for Fathers & Rangers to design and build a car out of a block of pinewood before finally racing against other teams. 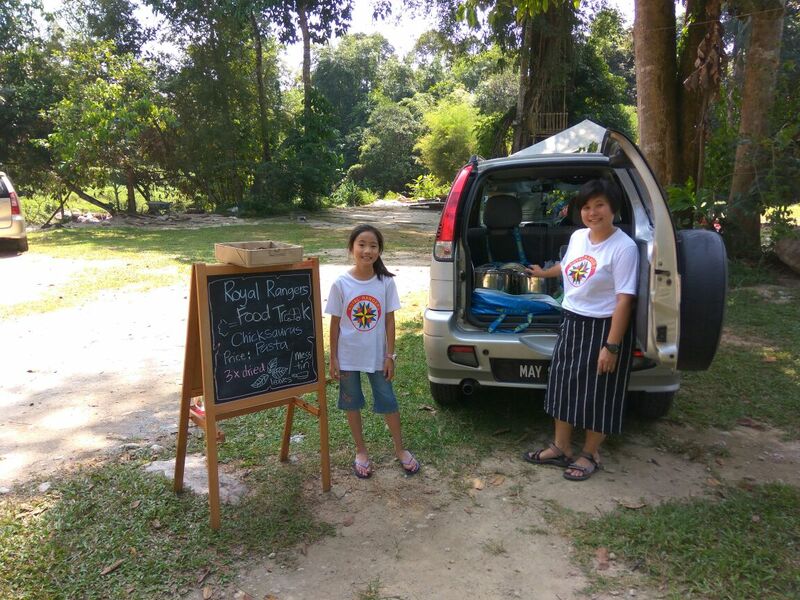 This event is organised by Royal Rangers outposts all over the world and we are proud to be the first outpost in Malaysia to host this event. 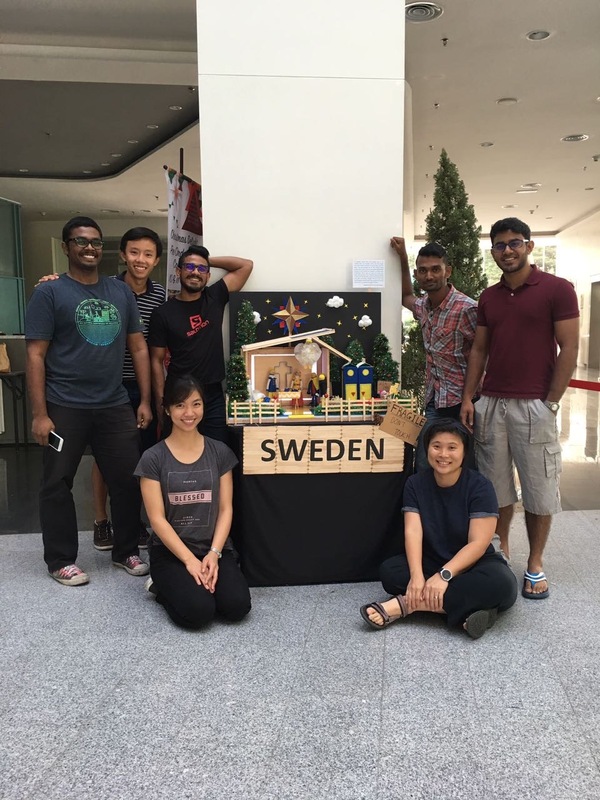 It was also the first for most, if not all, of the participants. 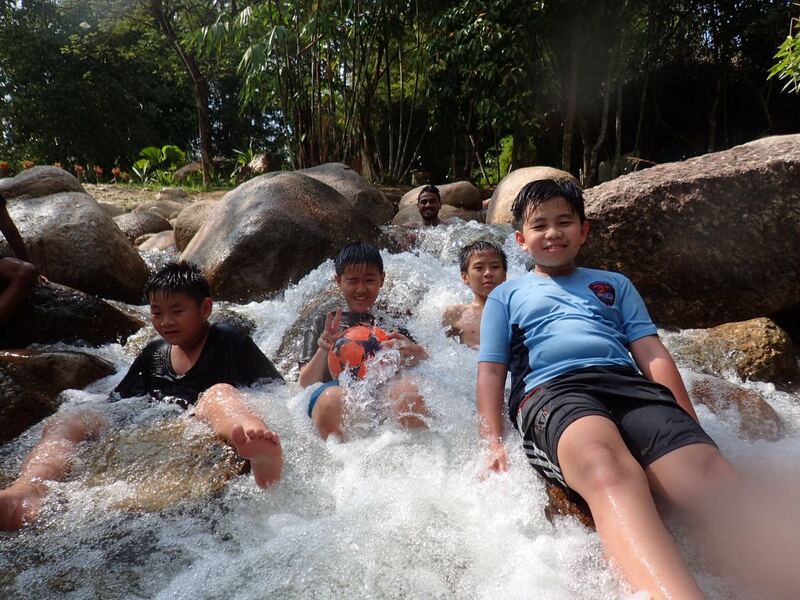 However, it being a first-time challenge did not deter an overwhelming 30 parents and 36 Rangers from signing up. This was shown in the superb workmanship that many teams put into the design of their cars. 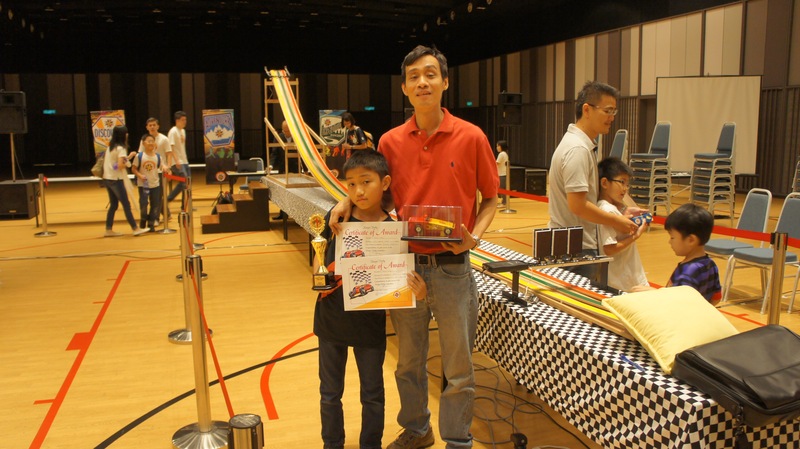 Participants were given three weeks to design and build their car in time to submit for judging on Father’s Day 2015. 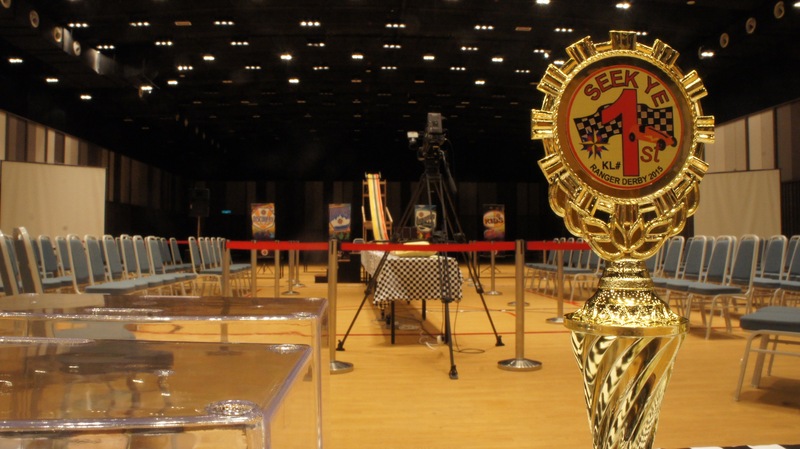 Cars were given design specifications to meet, including the incorporation of the theme of the event, “Seek Ye First”. Pastor Peter Ong, Pastor Lee Peng and Councilman David Peter had a tough time judging scores for the 36 cars as some of the cars were very well designed. The Derby event also encouraged children without dads to sign-up with a sponsor to promote the father image; Jothi from Calvaryland and sponsor Max working on her car. The Derby race was held on the following Sunday. 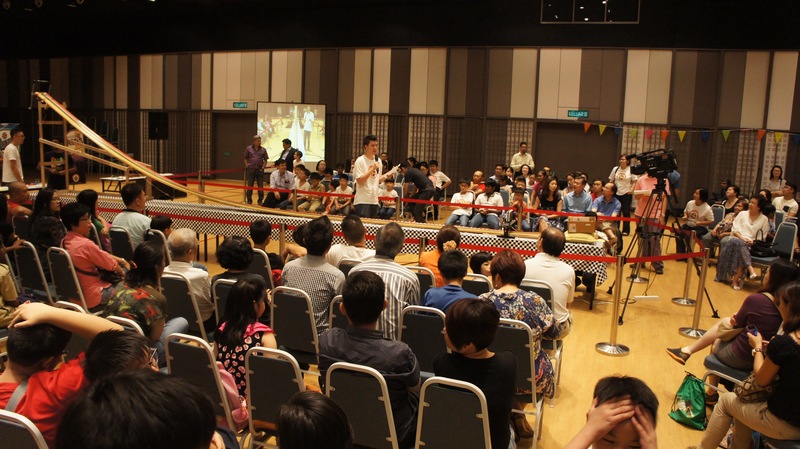 Praise God for the Multi-Purpose Hall of Calvary Convention Centre that was big enough to house the 30-foot long racetrack and over 200 parents and Rangers who were invited to witness the races. We were blessed to also have special guests with us, Senior Pastor and Sister as well as commanders from Selangor #9, Metro-tabernacle. Excitement was in the air even before the race started as participants gathered around the Derby car display area to proudly point out their cars to their family and friends. The race began with Derby emcee Commander Samuel Soong and Race Manager Commander Kah Yun welcoming the audience and explaning the rules for the race. The names of each car owner were read out as the cars were prepared for each race. 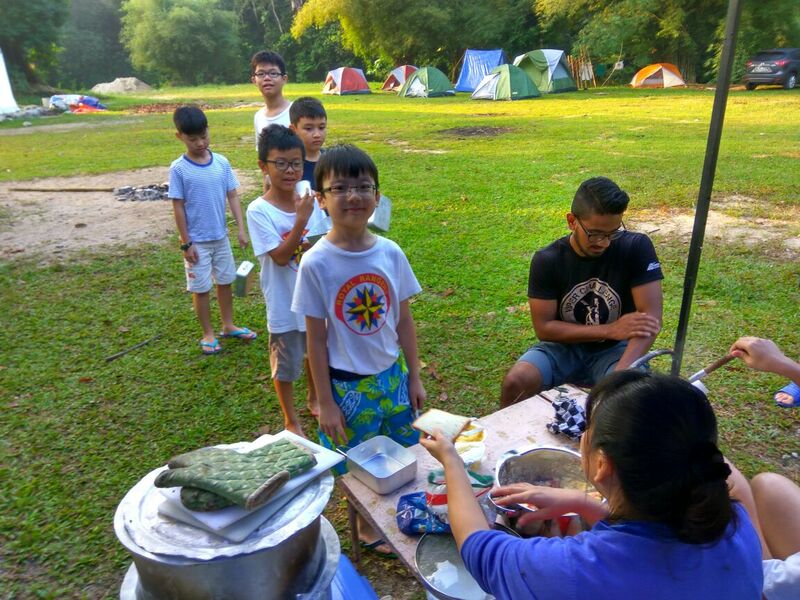 Cars were categorised and raced according to the respective groups, Ranger Kids, Discovery Rangers and Adventure Rangers. 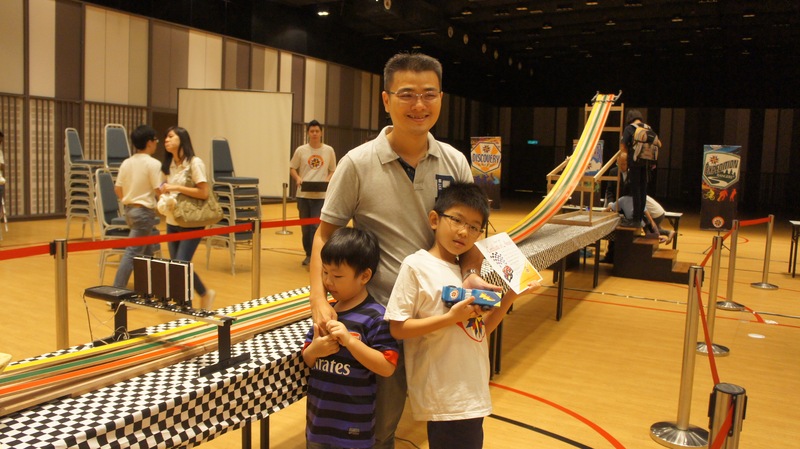 Kids would gather around the finish line area, especially those whose cars were next up to race, so they could get a first-hand witness to see which car would pass through first. At the end of all heats, a final race was held to determine the Race Champion. It comprised of the first placed winners from each Heat category. 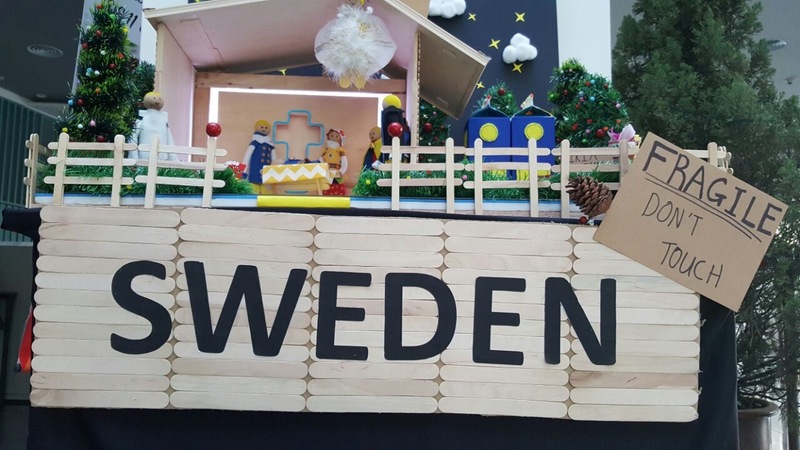 It was certainly a fun-filled first family event! 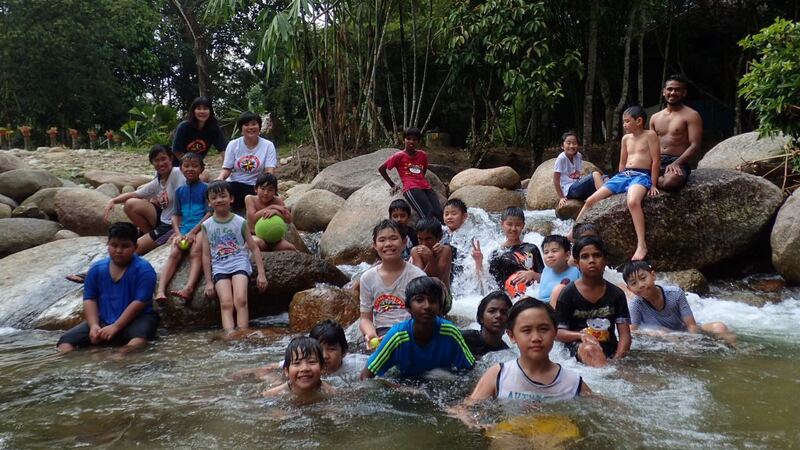 The Discovery Training Camp was held as part of the Rangers programme in conjunction with Church Camp 2015. The goal of the DTC is to give Rangers an opportunity to experience leadership and teamwork. The 20 Rangers that attended DTC were divided into 3 team patrols and were required to create patrol songs, yells and flags as a group. Teamwork gets the job done! 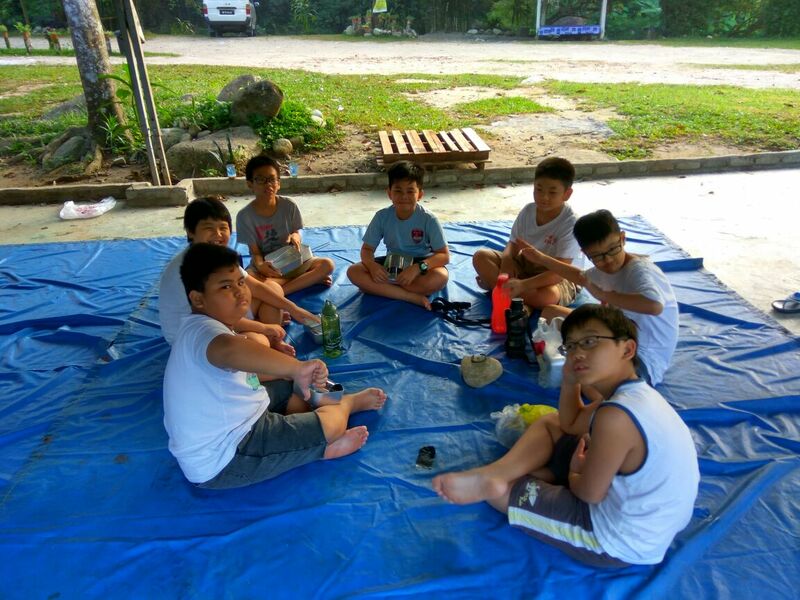 The level of teamwork displayed was amazing as the children rose to the challenge to complete the patrol tasks; some even took the initiative to meet before breakfast and sit together during meal times to practice their songs and yells. The wefie by the Eagle patrol that won a prize. Everyday duties were rotated among patrol members so each ranger received a chance to serve either as a patrol leader or quartermaster or scribe. 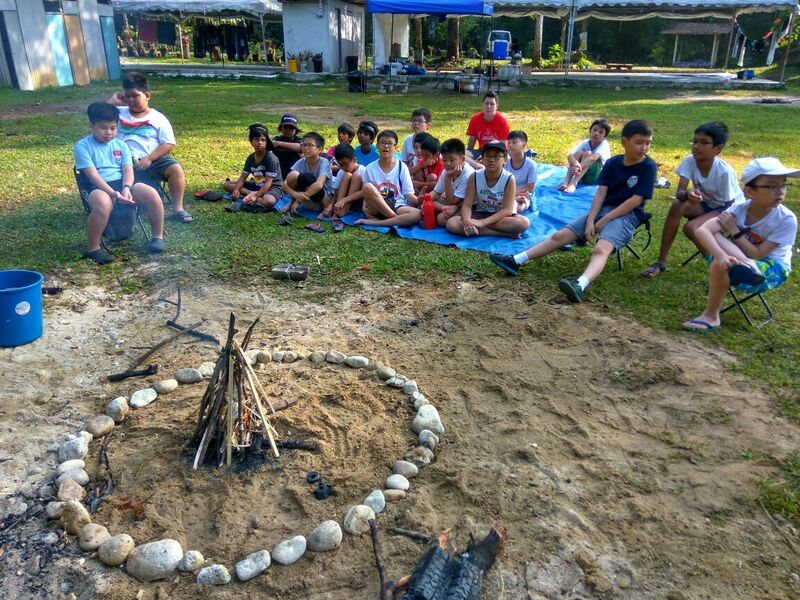 The Rangers also participated in Olympic Games and class activities that were designed to teach teamwork and objective principles like making right decisions and punctuality. 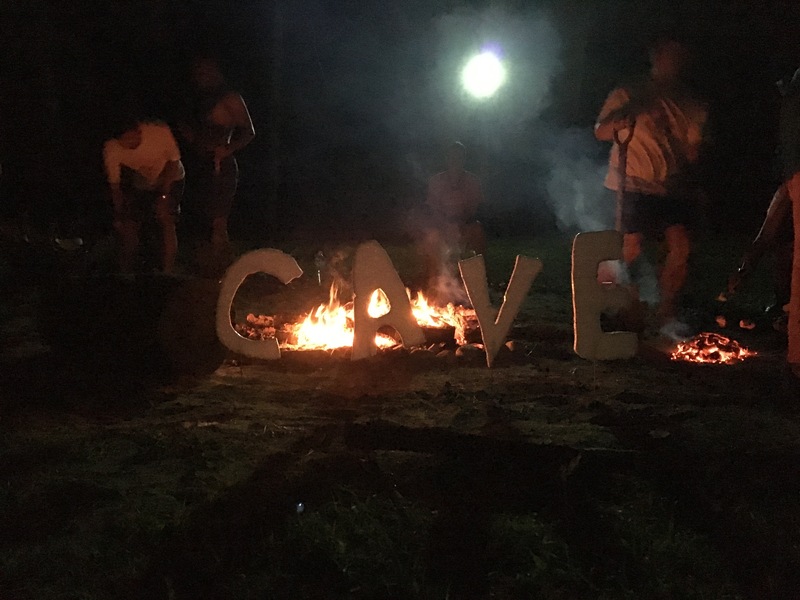 The highlight was the council of fire held on the last night of camp. This is the time the patrols presented their songs and yells and skits they have prepared. 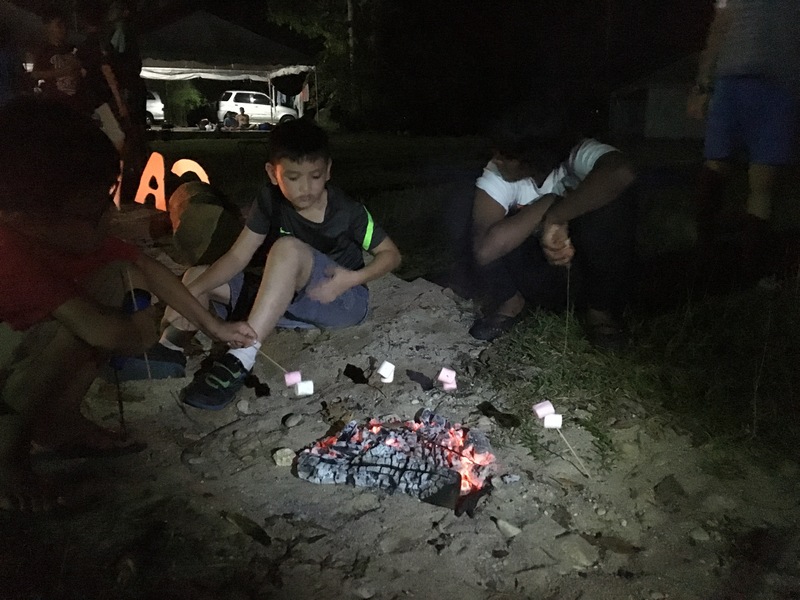 During the campfire, Chaplain Pastor Steven Kum shared a devotion about how a nice car may look good on the outside but without fuel, it will not run. Similarly having medals and merits will look good on the outside but without the Holy Spirit we cannot run the Christian life. Pastor Steven sharing devotion during the council of fire. 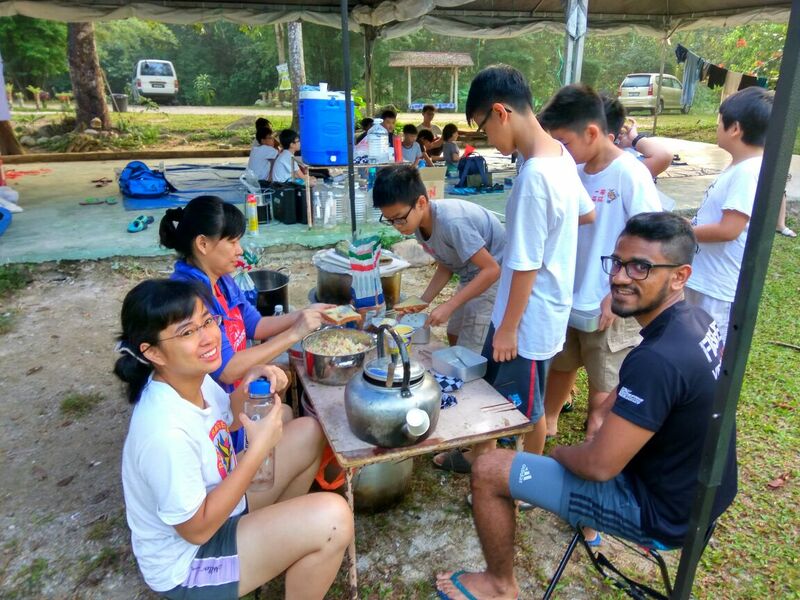 By the end of the camp, the patrol teams had done well in their teamwork and leadership and this was reflected in the hard work and dedication they had put together during the 3 days. This effort was reflected in each of the 3 patrol teams all receiving the Gold Medal of Excellence from the Camp Commander which they proudly could display on their patrol banner. Camp staff with patrol banners.